This has proven to be a banner few days for Hereditary director Ari Aster. The fast-rising filmmaker's horror hit supplanted Lady Bird as A24's highest-grossing film worldwide over the weekend, and it's still out there racking up dough. All eyes are on what Aster will do next, and now we not only have details on it but the bright young cast that will be his stars. 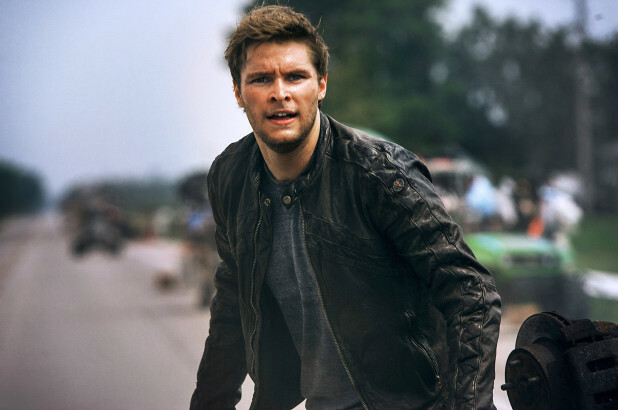 Florence Pugh, Jack Reynor, and Will Poulter are on board for Aster's untitled thriller, which Collider says will also include co-stars Vilhem Blomgren, William Jackson Harper, Ellora Torchia and Archie Madekwe. Pugh is having a moment of her own, actually. 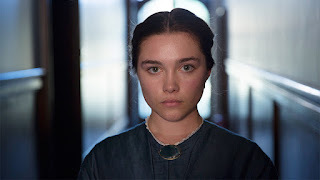 She broke out in the indie film Lady Macbeth, but will be seen in Park Chan-wook's upcoming series, The Little Drummer Girl. It was at the TCAs (via Variety) where she made the announcement about her role in Aster's film. She will also be part of Greta Gerwig's Little Women ensemble. Reynor and Poulter recently worked together in Kathryn Bigelow's Detroit. According to Collider, the film will center on "a couple (Pugh and Reynor) that travels to Sweden to visit their friend’s rural hometown for it’s fabled mid-summer festival. What begins as an idyllic retreat quickly devolves into an increasingly violent and bizarre competition at the hands of a pagan cult." Sounds potentially nuts just like Hereditary was. Production is apparently underway, and the selfish part of me wants it done and wrapped in time to make Sundance in January. Doubtful, I know, but one can hope.